Pastoral settings, glorified in the Baroque canvases of Claude Lorrain, idealized nature’s harmony. Throughout the history of art, pastoral scenes, replete with livestock and their keepers, provided a pure background for modern artists to explore the moral connotations of the bible’s and antiquity’s stories. 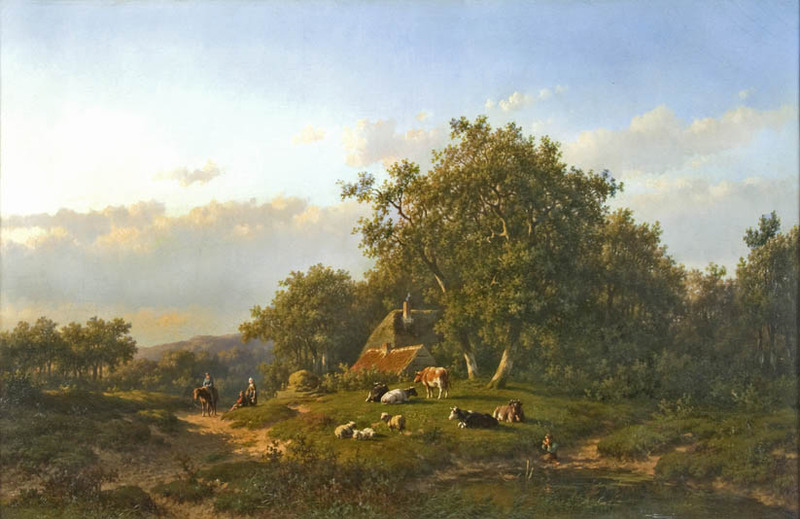 Willem Vester, Summer Landscape, 1871, Oil on canvas laid on panel, Guarisco Gallery. Click to inquire. Pastoral settings, glorified in the Baroque canvases of Claude Lorrain, idealized nature’s harmony. Throughout the history of art, pastoral scenes, replete with livestock and their keepers, provided a pure background for modern artists to explore the moral connotations of the bible’s and antiquity’s stories. 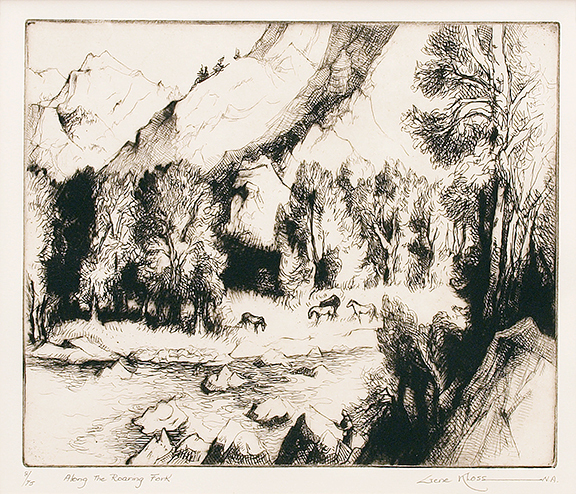 Gene Kloss, Along the Roaring Fork; 8/75, Etching, David Cook Galleries. Click to inquire. 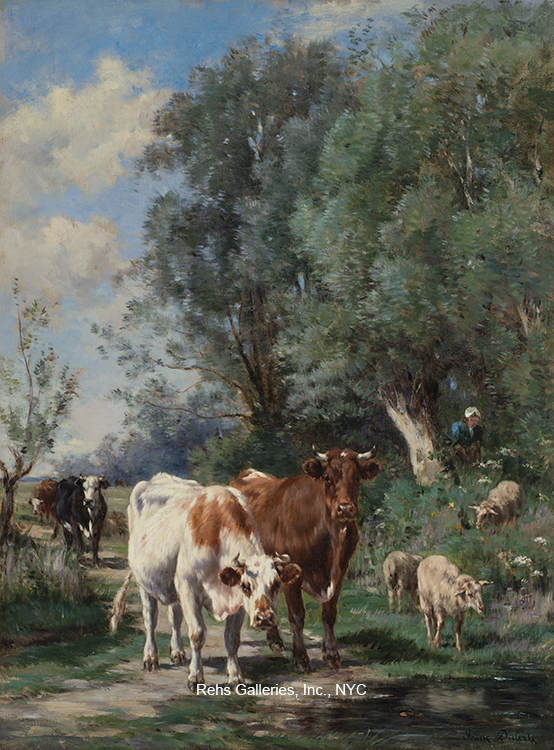 Marie Dieterle, Vaches et les moutons par l’eau, Oil on canvas, Res Galleries, Inc. Click to inquire. 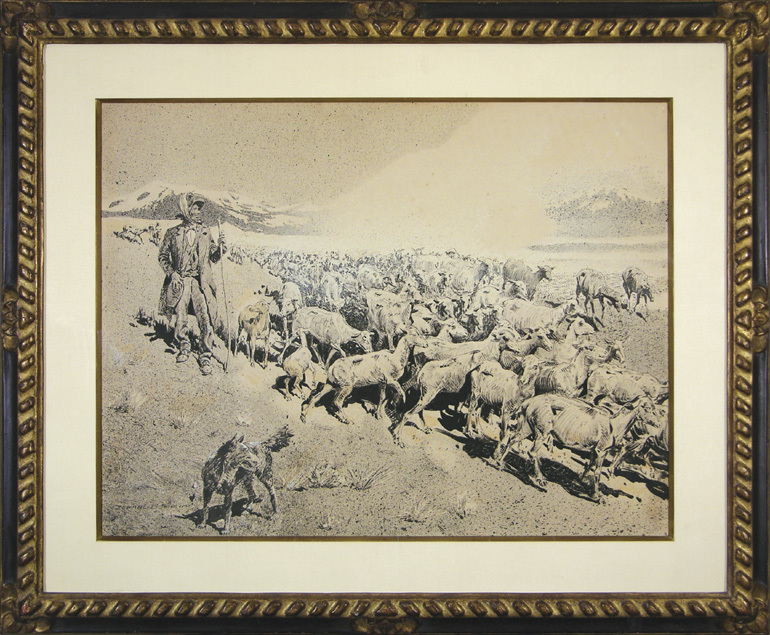 Whether in 19th century Europe or 20th century America (as in the Western watercolor from Thomas Nygard Gallery), FADA’s artworks of livestock, the most prominent indicator of country living, hints to an artistic heritage left over by Lorrain. These works capture the majesty of the countryside, enhanced by its flora and fauna. Edward Borein, A Goatherder with his Flock, Ink and gouache on illustration board, Thomas Nygard Gallery. Click to inquire. Constant Troyon, The Shepherd and the Sea (Le Berger et la mer), Oil on canvas, Schiller & Bodo European Paintings. Click to inquire. As artistic hubs have shifted to urban centers, contemporary art has seemingly excluded the furry subjects of yesteryear. Now, livestock are the actors in recent, interactive art installations. 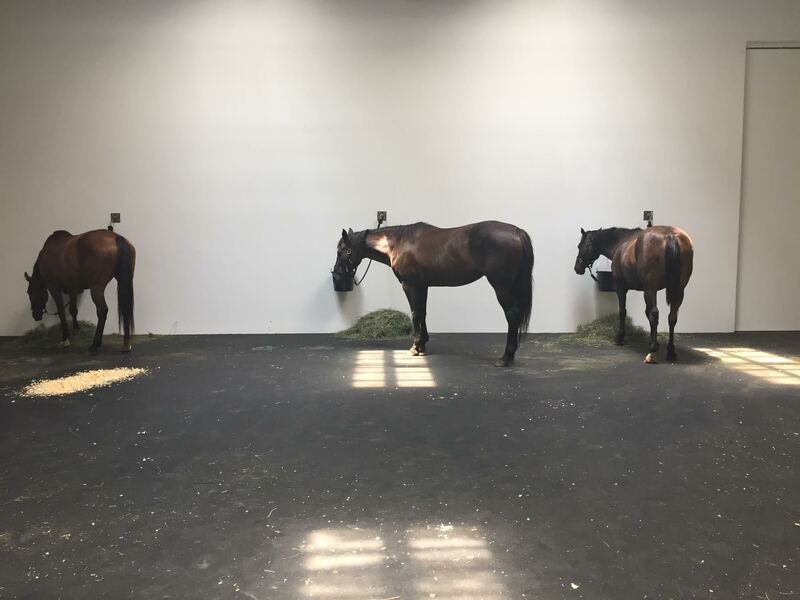 In 2015, Gavin Brown’s Enterprise "displayed" Jannis Kounellis’ Untitled (12 Horses), with 12 live horses camping out in the gallery. 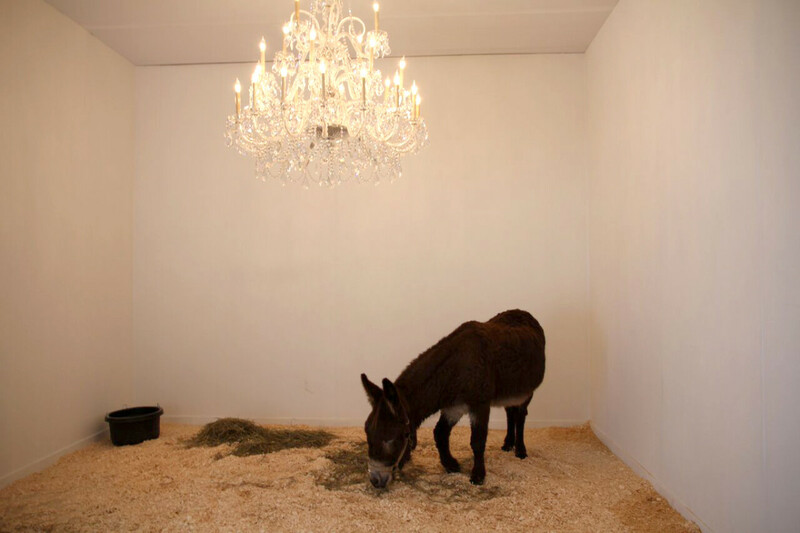 At 2016’s Frieze fair, patrons gawked at Maurizio Cattelan's live donkey as it grazed around a booth lit by an opulent chandelier. Both experiences were reminders of a foreign agrarian lifestyle. Simarly, Julian Opie’s Sheep, from FADA Member Jonathan Novak Contemporary Art isolates its subject from its normal haystack accessories. Jannis Kounellis’ Untitled (12 Horses) at Gavin Brown's Enterprise, 2015. 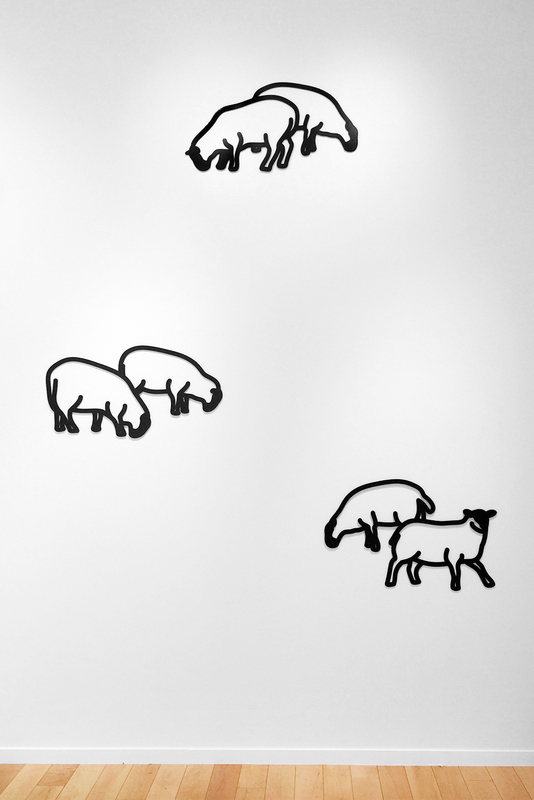 Julian Opie, Nature 1-Sheep, Jonathan Novak Contemporary Art. Click to inquire. Maurizio Cattelan, Warning! Enter at your own risk. Do not touch, do not feed, no smoking, no photographs, no dogs, thank you. Frieze Projects, 2016. PHOTO CREDIT Whether thrown into the middle of New York City, or on the wall, sheep and steeds no longer plow the land in Lorrain’s landscapes. 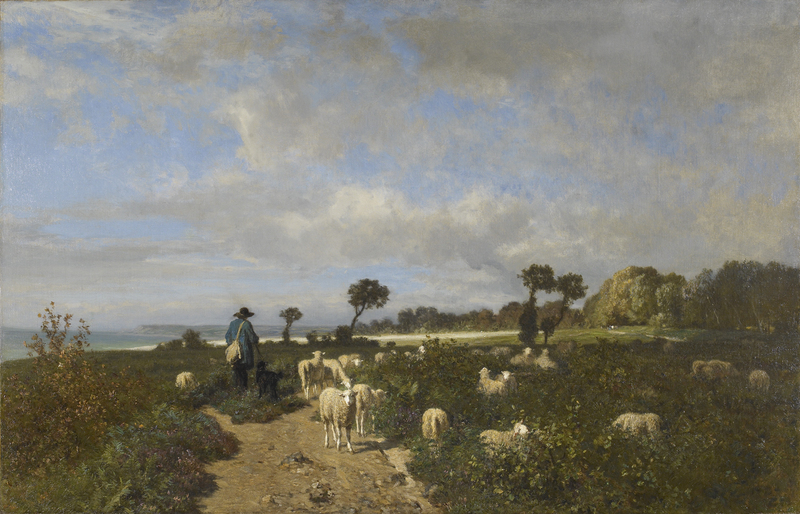 Regardless of this potent displacement, gazing at the sheep in Troyon’s The Shepherd or at Kounellis’ Horses, viewers are aware of animals’ ability instill a universal calmness. The art of livestock still aspires to evoke the contentment of seeing nature.